David Bowie blew out his 66 candles and blew up the music world with his new single “Where Are We Now?” and news of the release of his latest 17 track album The Next Day in early March. Ziggy Stardust has been silent for the past decade, but this latest comeback single is no letdown to faithful fans. 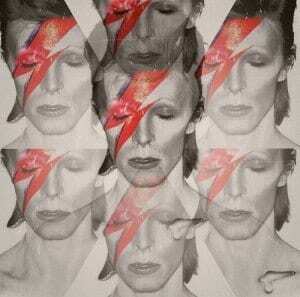 If the teaser is any indication, Bowie’s 25th album promises a soulful and reflective reprisal of the popstar. Surprisingly, “The Next Day” promises a more melancholic comeback album than the likes of, say Paul McCartney’s “Memory Almost Full.” I think we can look forward to a smooth musical reinvention a la Bobby Womack’s “Bravest Man in the Universe,” that is to say pure creative genius marrying decades of success with an appropriate nod to current times in a graceful return to the spotlight. Both the lyrics and video for David Bowie’s latest reference his time in Berlin, Germany with sketchy footage of the city and shoutouts to the “Dschungel” club and Nurnberger Street. Much like the grainy footage of the “art school-y” video, Bowie’s voice is — not surprisingly — scratchier than the full throated belting we’re used to, but this really only adds to the pleasant nostalgia of the piece. Fans and critics alike are delighted by the announcement and pleased with the quality of Bowie’s latest effort. What could be more appropriate than Bowie himself crooning, “As long as there’s me, as long as there’s you…” to bring home everyone’s personal relationship with his work and remind us of our everlasting appreciation for a timeless music legend. I simply want to mention I am just very new to blogging and site-building and definitely liked you’re web site. Probably I’m planning to bookmark your blog . You certainly have superb writings. With thanks for revealing your blog site.